Onyx Pearl. When two become one. Masculinity and femininity have no boundaries anymore. Seductive and enchanting, Onyx Pearl is pure Oud. A close encounter of oriental flowers, mixed with White Leather, Heliotrope, Australian Sandalwood and White musk. The essence of a love full of contrasts, a fragrance that is all about passionate temptations. The heart of the rose introduces a sensual atmosphere where Sambac plays with Myrr, Magnolia, Lebanese Cedarwood and Bourbon Vanilla. Meet our exclusive collaboration with the Swedish fashion brand HOPE. 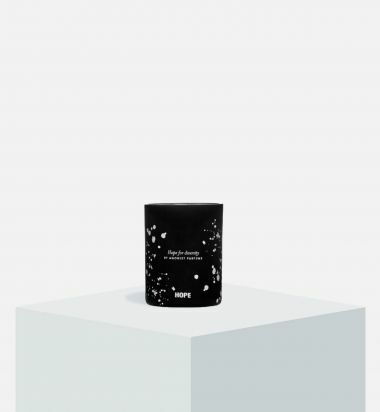 The scented candles have been inspired by the world of Hope. Material, feel, inspiration, style and the values of the brand come to life in its essences. 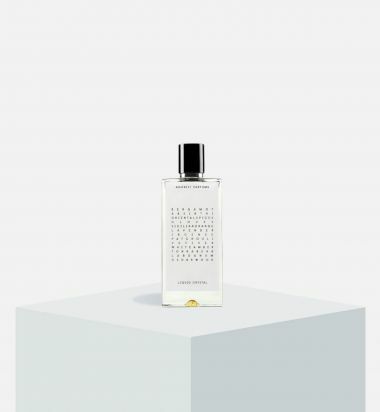 A woody scent with a touch of leather combined with vetiver and cistus flower in the top. With inspiration from the world of Hope with woods, leather and fabrics combined with spices and flowers. Hope For Diversity uplifts and inspire you and your creative mind. The scent will keep you calm and strong in all situations and let you put your heart into everything you do. Meet our exclusive collaboration with the Swedish fashion brand HOPE. 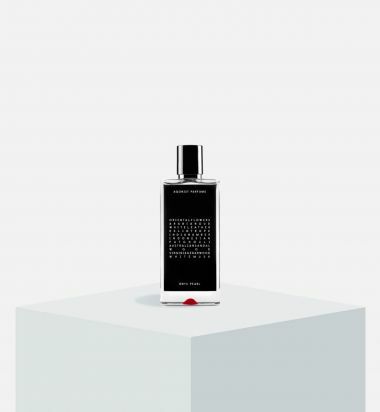 An atmospheric and beautiful scent inspired by the inspirational energy and quality of the collaborative efforts from Hope and Agonist. 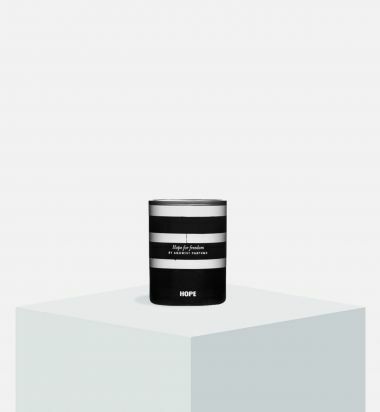 Ingredients from all over the world has been composed through a clean and light nordic approach. 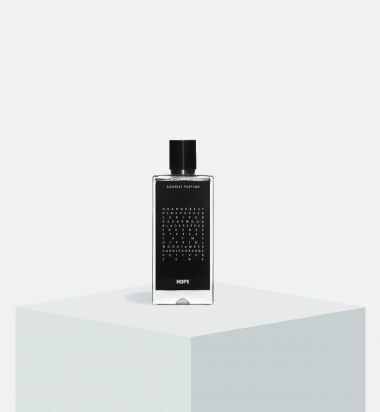 The result is a woody, fresh and very unique energetic scent. An atmospheric scent with cinnamon, fresh lime, and incense nicely blended with a deep undercurrent of wood, leather and musk. With inspiration from the world of Hope with woods, leather and fabrics combined with spices and flowers. Hope For Freedom opens up your mind and senses, giving off an aroma that reminds you of the deep and calm Swedish woods. 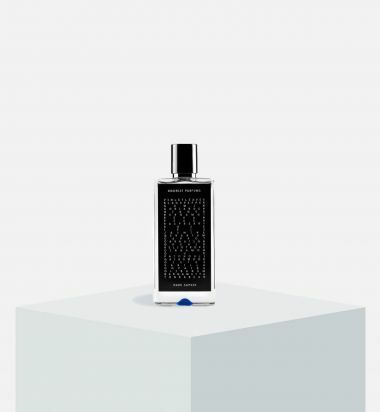 A beautifully balanced and captivating fragrance inspired by the Sapphire stone with its remarkable hardness and strength - yet refined, details and light elegance. The power, beauty and durability of the Sapphire translated into fragrance. The power: A seductive impact on not only the carrier but on the space surrounding them, - tempting anyone that comes across it. The Durability: A layered composition that lasts, evolves in a unique way and accompanies your actions. An ambition to create the most luxurious scent possible. Like glittering gold on your skin. A special twist is given by Absinth, Incense and Vetiver. 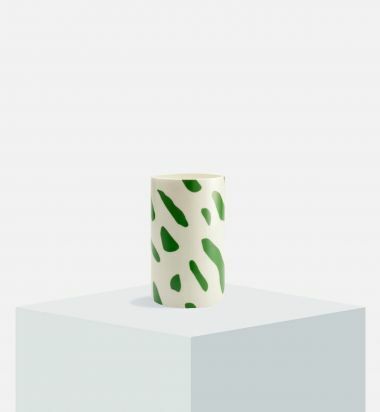 As a tribute to the beauty of flowers and the Floralust invisible bouquet scent, this handmade ceramic vase has been created in collaboration with Japanese/Swedish artist Masayoshi Oya from Studio Oyama. It measures approx 15 cm in diameter and 30 cm in height. This interior design object with the unique Flora Lust pattern is a product that is made to order.